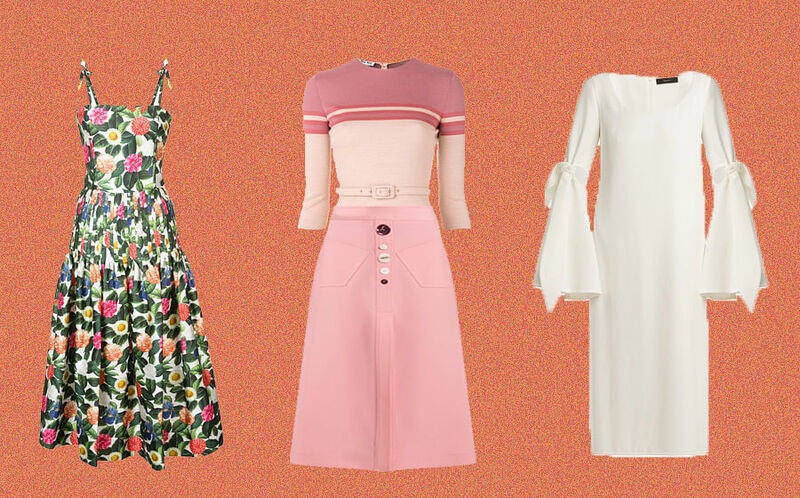 If there’s one key commandment you need to know about French style, it’s this: the cornerstone of Parisian dressing always resides in fashion’s classics. 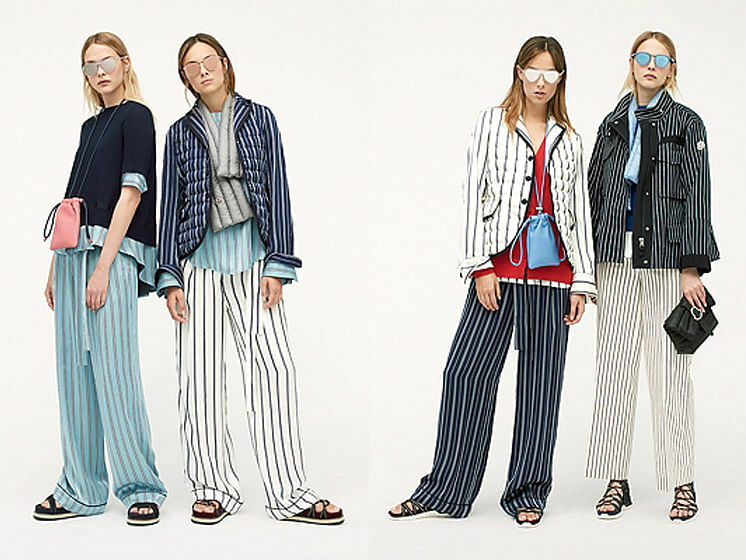 Though we’ve already gone through in detail how you can create your everyday closet à la francaise, we now need styling tips in order to team our breton stripes, oversized sunnies and the ever-timeless red lipstick together in the most chic way possible. Despite what you may think about ‘classics’, they’re not that easy to play around with in the world of sartorial mix-and-match. There’s a fine line between an outfit that’s overly sophisticated and one that’s so boring, it falls flat. 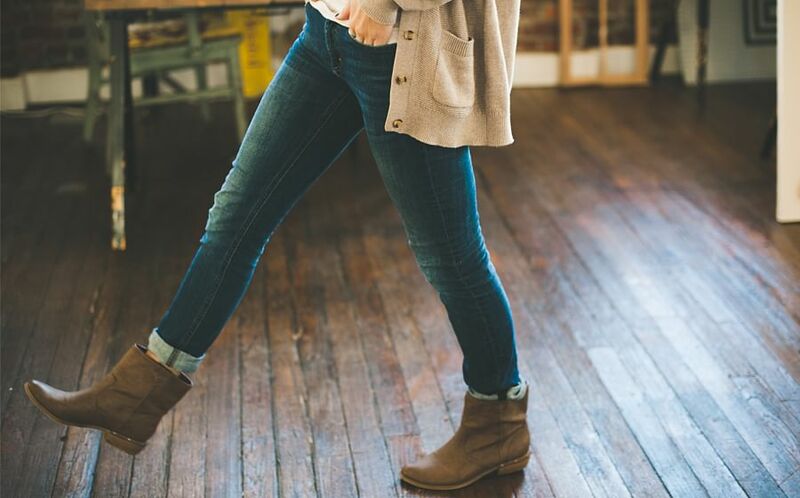 We want to hit the perfect in-between — an ensemble that doesn’t try too hard, but is charming and effortlessly chic. Enter: Moncler’s SS’18 Twist collection. Adopting a variety of elements from the main SS’18 collection before infusing a contemporary and more relaxed attitude to the looks, the Twist series features clean, loose-fitting silhouettes. It’s clear that the collection emphasises on comfort and fit — two key things essential to the Parisian code of dressing. What caught our eye was the use of loud stripes in the collection, and the bold choice of layering stripes on stripes. 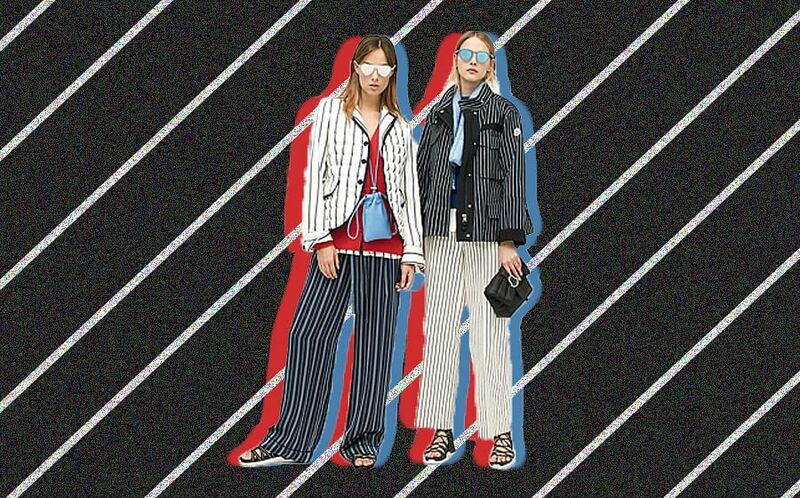 Here, Moncler does it in a dynamic manner by pairing relaxed, wide-legged striped trousers with a more structured and tailored jacket with stripes in a contrasting colour. The central styling tip, as it seems, is to add a pop of colour to your look. 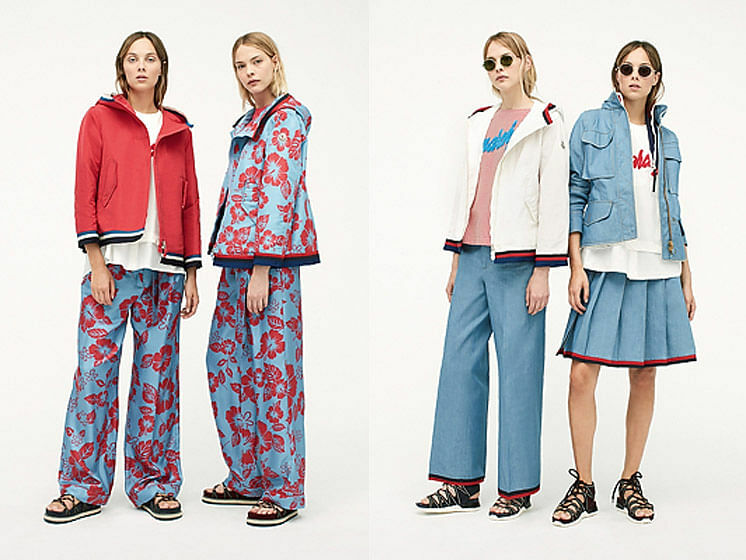 Moncler anchors the classic pattern with a fresh enlivened approach of layering a bright red or blue top underneath the striped jacket or accessorising with sunglasses in fun colours and quirky shapes. Finally, finish off your look by slipping into a comfortable and feminine pair of sandals. Integral in pulling the entire look together, a classic pair of strappy sandals will give you that nonchalant, yet perfectly put together look. After all, when done well, simplicity is all you need. Apart from the use of stripes, the leitmotif of the collection, Moncler Twist also centres its focus on the 70s with a tonne of romantic, floral references. Prints of spring florals, tropical patterns and a bold summer colour palette featuring hues of red and blue are sprinkled throughout the collection on pyjama-style trousers, jackets and straight leg pants. There are also sporty elements such as graphic typography and varsity stripes seen on casual t-shirts and pleated tennis skirts to complete the medley of bright and bold looks. Moncler Twist SS’18, available now at Moncler ION and www.moncler.com.